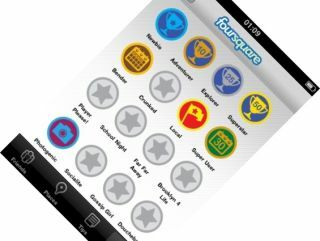 Foursquare has shown the social-networking world that it means business, by clocking 1 million check-ins in just one day. The smartphone app posted the number on 2 July, just after it announced it was given $20 million in funding. FourSquare is now said to be worth $95 million, has an active user base of around 1.8 million people and has signed up media partnerships with the likes of Starbucks, Marc Jacobs and Pepsi. Not bad for a company that employs just 27 people. Speaking about FourSquare's success, Ben Horowitz, who was behind the funding, said that the site was growing faster than Twitter was at the same stage. Although FourSquare is posting big-ish numbers, it is hoping to get a lot bigger and it is already looking at how to monetise its service – something which took Twitter a long time to do. The man behind FourSquare is Dennis Crowley who found his feet with Dodgeball, another location-based app which was sold to Google and replaced with Google Lattitude in 2009.